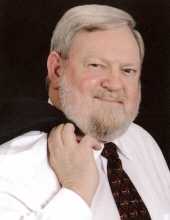 Gary Michael Stone, 73, of Conover passed away on Tuesday March 26, 2019 at Carolina Caring in Newton. Born October 15, 1945 in Dale County, AL, he was the son of the late Jake and Mae Rose Newsom Stone. Gary was a retired engineer and worked at H&R Block during tax season. He served in the US Army National Guard for 10 years. A graveside service will be held at 12:00 Noon on Saturday, March 30, 2019 at Floral Memory Gardens in Albany, GA.
Memorials may be made to: Carolina Caring, 3975 Robinson Rd, Newton, NC 28658.